Premier Academy offers a loving and nurturing environment for infants and as young as six weeks old. These classrooms are specifically designed to provide your child excellent individualized care and safety while also providing a stimulating environment for them to explore and learn. As the children grow and reach each milestone, our teachers are specially trained to evaluate and adjust the lesson plans based on each child’s stage of development. Our infants and toddlers are promoted based on the child’s development to ensure appropriate toys and activities are available for each stage. 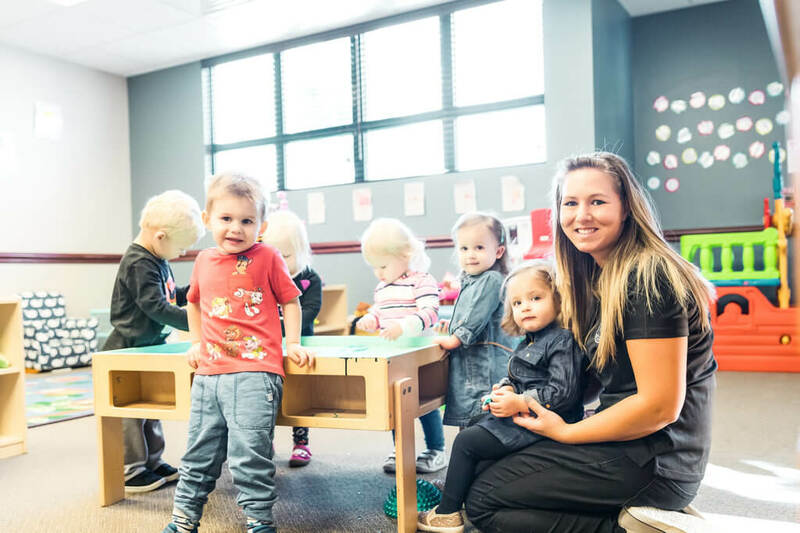 As the infants become toddlers, the lesson plans will begin to include sign language to aid in communication as verbal language skills are being developed. These children will receive a gentle introduction to letters, numbers, colors, shapes, music and art, and before they enter preschool, each child has a basic foundation for entry into the A Beka Book Program. Digital daily sheets are provided for our infants and toddlers which permits direct engagement with your child’s classroom. This includes detailed information about your child’s meals, naps, activities and more! It even includes real time photo sharing and messaging to communicate with the teachers. I am the lead teacher in the Mobile Infant’s classroom. I have worked at Premier Academy since March 2012. I have been a teacher at Premier Academy since August 2013. I have been a lead teacher in both the Mobile Ones and Abeka Twos classroom. Premier Academy offers a loving and nurturing environment for infants and as young as six weeks old. These classrooms are specifically designed to provide your child excellent individualized care and safety while also providing a stimulating environment for them to explore and learn.